A Memorial Service for Ernest Bobian Jr. will be held on Saturday, December 8, 2018 at the Bent County Senior Center from 12:00 p.m. until 3:00 p.m. Per Ernest’s request cremation has taken place and inurnment will take place at a later date. Ernest Bobian Jr. was born on August 1, 1947 in Walsenburg, CO to (Ernest Bobian Sr.) Felipe and Adeline (Sandoval) Vialpando. He passed away at his home in Las Animas, CO on November 26, 2018 at the age of 71. He is survived by his wife, Dixie (Richardson) Bobian of Las Animas, CO; son, Ernest (Penny) Bobian; daughters, Ebrina (Mike) Martinez, Ennette (Richard) Garcia; step daughters, Amanda (Guillermo) Gonzales and Samantha (Joe) Davis; sister, Alelda “Lee” Gomez; many other relatives and a host of friends. 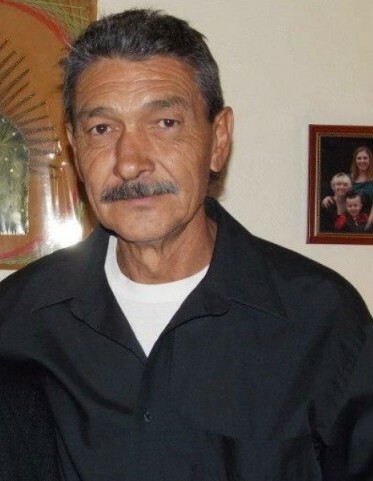 Ernest is preceded in death by his father, Ernie Bobian; parents, Felipe and Adeline Vialpando; brothers, Ray and Joe Vialpando; and sisters, Virginia Salazar and Evelyn Gallegos.